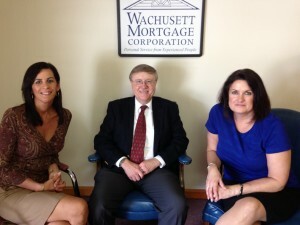 Wachusett Mortgage is a locally owned, independent mortgage company, located in scenic central Massachusetts. Established in 1992, we offer residents of Massachusetts superior home financing rates and exemplary service. Our commitment to extraordinary customer service and state-of-the-art automation make the mortgage process prompt and stress-free. We offer the products of many local, regional and national mortgage lenders with the most competitive interest rates found anywhere. Wachusett Mortgage holds memberships in the Massachusetts Mortgage Bankers Association, the Worcester Region Chamber of Commerce and the National Association of Mortgage Bankers(NAMB).